Our spring programs begin in April and run once a week for ten consecutive weeks. Most of our programs are 1-hour sessions and are either based out of Burnaby Winter Club or Planet Ice. Registration opens in early February. We offer skill-specific programs, including Speed, Edge, & Power Skating; Shooting, Dekes, & Dangles; Battle & Compete; and Shooters & Scorers Clinics. As well, we run Little Rascals, Legends Hockey Development / Adult Learn to Play, Bantam Body Checking, and 4 on 4 Pond Hockey. These are great development sessions that complement your in-season team training. We offer a few different times for each program to help work around your minor hockey schedule. We also run three spring tournaments: BC Mayhem, Pacific Spring Showcase, and BC Spring Classic. Please scroll down for more information and to register. The Shooting, Dekes, & Dangles Clinic is our newest development program. The Shooting, Dekes, & Dangles Clinic is our newest development program. Players are challenged to execute lateral moves, change of speed, creativity, and to develop greater confidence with the puck on their hockey stick. This clinic is going to help players create more offensive plays and benefit players in games by having the puck on their stick around the net more often. We will spend a great deal of time teaching skills such as skating at full speed with the puck, attacking defenders, and understanding how to evade a check, protect the puck, or execute moves. The Shooters & Scorers Clinic is designed to give players greater confidence and improved skill regarding their shooting ability and puck handling. The Shooters & Scorers Clinic is designed to give players greater confidence and improved skill regarding their shooting ability and puck handling. Our experienced instructors will introduce challenging new drills each week. The ice will be divided into 3 stations, each geared toward different shots and skill components. Players will rotate stations every 20 minutes. Individual and general group feedback will be offered consistently to allow the player to correct improper technique, and will be combined with positive reinforcement for a job well done. Our goal is to help players improve their skill set in a fun and positive environment. The 4 on 4 Pond Hockey is a fun-oriented scrimmage. This fast-action hockey game with limited faceoffs is played on a ¾-sized ice sheet. Players are encouraged to pass the puck in a "give and go" environment. There’s no pressure for this game, just plenty of fun! The 2013 Steelers Elite program will consist of Skills on Fridays and 4 on 4 Pond Hockey (Scrimmage) on Sundays. The 4 on 4 Pond Hockey is a fun-oriented scrimmage. The Body Checking Clinic is geared toward players trying out for full contact Bantam rep the following season. All aspects of body checking are instructed, with a safety-first approach to taking and giving a hit. Players should be at a rep level. Throughout the clinic, players will be separated based on skill, and matched in drills with other players of similar size and ability. The Body Checking Clinic is geared toward players trying out for full contact Bantam rep the following season. The Body Checking Clinic is geared toward players trying out for full contact Bantam rep the following season. All aspects of body checking are instructed, with a safety-first approach to taking and giving a hit. Throughout the clinic, players will be separated based on skill, and matched in drills with other players of similar size and ability. The Defenceman Clinic will focus on specific skill work catering to defencemen. The clinic will cover power skating, positional play, puck control, shooting, and checking and compete drills. Our Defenceman Clinic will focus on specific skill work catering to defencemen. Our Defenceman Clinic will focus on specific skill work catering to defencemen. The clinic will cover power skating, positional play, puck control, shooting, and checking and compete drills. The Legends Hockey Development/Adult Learn to Play program is for adults interested in recreational hockey or those seeking to improve their hockey skills. Players will be divided into groupings based on skill level, from beginner to advanced. Participants are given challenging yet realistic drills and there is a great atmosphere on the ice that helps to improve everyone’s skills as the program progresses. The program curriculum includes all hockey skills, such as shooting, passing, stickhandling, and skating. This program runs on Sunday nights, with two to three coaches on the ice, depending on the size of the class. It's the perfect opportunity to strengthen both your hockey game and fitness level. The Legends Hockey Development/Adult Learn to Play program is for adults interested in recreational hockey or those seeking to improve their hockey skills. Our Spring Little Rascals Learn to Play Hockey Program is the largest Learn to Play Hockey Program in Western Canada. The Little Rascals program features a fun environment where kids are challenged with games and drills according to their rascal grouping. The players are placed in smaller groups on the ice with kids of a similar skill level so that everyone gains confidence and can interact with each other at a similar level. Not only do kids grow their hockey skills, but they also make tons of new friends, develop their social skills, grow confidence, and, of course, have a ton of fun. The program runs on Saturdays in the spring and there are no early morning ice times or inconvenient hours. So what are you waiting for? We hope to see you out on the ice this spring. Little Rascals Level 1 is our entry level for beginner players. Little Rascals Level 1 is our entry level for beginner players. The focus of this program is to combine learning to skate and learning to play hockey. Players must be able to stand and glide forward on the ice to participate in the program. Full hockey gear is required. We recommend that players complete at least 3 skating levels prior to registering. Little Rascals Level 2 is for players able to perform the skills learned in Little Rascals Level 1. Little Rascals Level 2 is for players able to perform the skills learned in Little Rascals Level 1. This program introduces backward skating, lateral movement, and puck skills. Full hockey gear is required. Little Rascals Level 3 continues to focus on skating fundamentals, along with an integration of puck skills while moving (shooting, puck control, and passing). 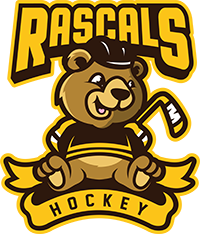 Little Rascals Level 3 continues to focus on skating fundamentals, along with an integration of puck skills while moving (shooting, puck control, and passing). Also introduced are checking, 1 on 1 competitions, and scrimmages. Full hockey gear is required. Little Rascals Level 4 is the final level of Rascals. Little Rascals Level 4 is the final level of Rascals. The focus in this program is the preparation for minor hockey the following season. Although the primary focus is still on skating, this level concentrates on putting all the skills together for hockey. More time is dedicated to scrimmages and game-like situations. Full hockey gear is required.